We've been talking at length about the ubiquity (in a good way) of basket bags for a year-plus now, so it's not exactly new news that they're a thing. But what is new is that retailers can't seem to keep the affordable summer trend in stock in recent weeks. Given that market research (aka shopping) is a big part of our jobs, we're always at the pulse of what's new, what's popular, and what's sold out seemingly everywhere. And when it comes to the latter, we couldn't help but notice that the best basket bags are wait-listed, back-ordered, low in stock, or just plain sold out almost everywhere we look. 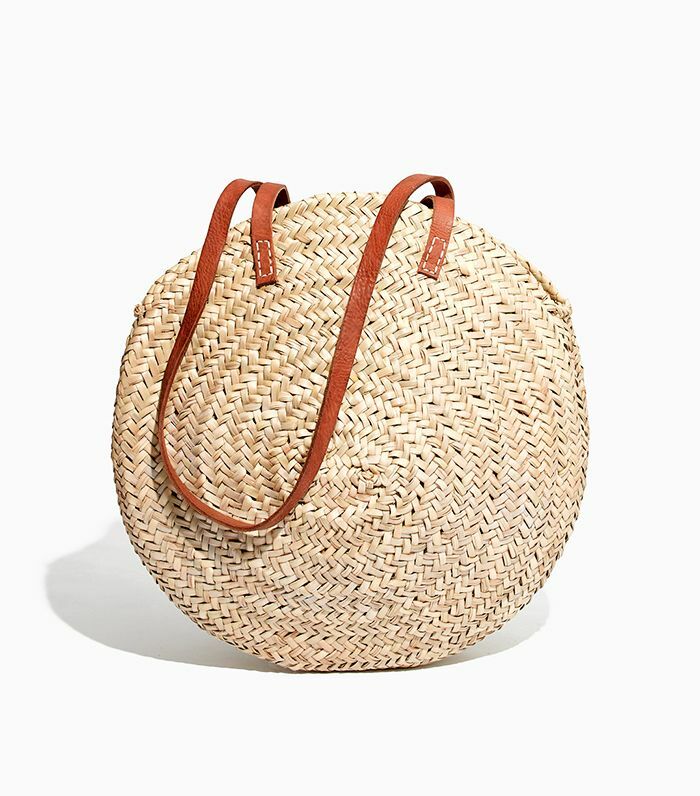 What prompted us to dig a little deeper into this theory is that late last week, Madewell sent out an email featuring a $60 round shopper basket bag. From our end, the item's page seemed to be so flooded with traffic that it wouldn't even load. When we were finally able to access the bag, it had already sold out—and as we subsequently perused other under-$200 basket bags that had been on our radar this season, many of them were also wiped out. While this may sound a bit discouraging if you've been shopping for the perfect basket bag for summer, our best advice is to add yourself to a few waiting lists as retailers likely are scrambling to restock ASAP, or quickly snap up a new arrival that's still in stock. Shop (or wait-list…) some of our favorite under-$200 basket bags below! Madewell sold out of this bag immediately, but we found it elsewhere! Act fast—this adorable new arrival isn't going to last. This crazy-affordable tote is currently wait-listed via Reformation. Here's another new arrival we're guessing will be sold out within a matter of days. This sold out ultra fast, but not to worry—Pixie Market often brings its most popular pieces back. Good luck finding this petite bag anywhere in any color right now, but the large size is available, and there's always the trusty waiting list. Hurry! This Jane Birkin–esque option is still in stock. Next up, shop summer weekend pieces that only look expensive.